Details Maya Blue, developed by the Maya who ruled Mesoamerica from about 290 to 900 C.E., is a remarkable pigment based on a blue dye precipitated onto clay. The blue is perhaps the most striking color used by Maya artists, a color so extraordinary that it generated much research and debate among scientists for more than 50 years. What is particularly interesting about Maya Blue is that, despite long exposure to light and high humidity for centuries, it hardly fades. Its unprecedented stability, defies exposure to alkalies, acids and chemical solvents. 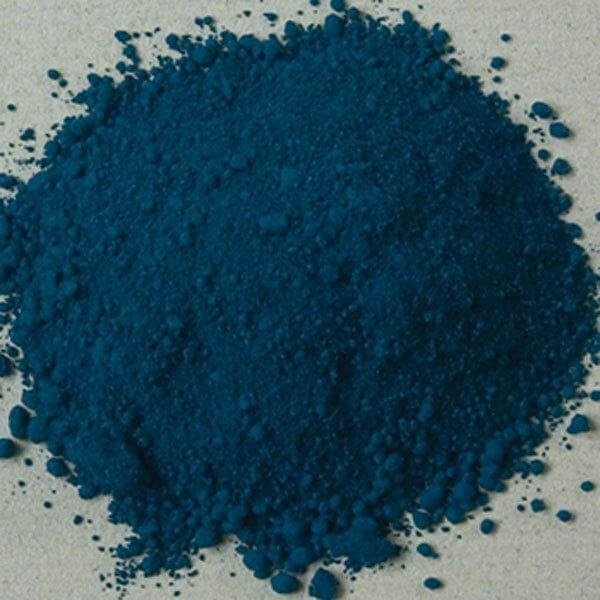 Maya Blue is a mixture of both inorganic (paylgorskite clay) and organic (blue dye) elements -- no known organic pigments today can come close to the stability of Maya Blue over so many years. Maya Blue was developed by the Maya occupying Mesoamerica for the first millennium C.E. Today, a U.S. company has unlocked the secrets of Maya Blue and patented the process to create hybrid organic/inorganic pigments based on research to find the origin of the blue color. Our Maya Blue is made by Mayan Pigments, and is based on the process they developed that recreates the Maya blue pigment found in Mesoamerican artifacts and archaelogical sites. The process involves heat-treating synthetic indigo dye with palygorskite (also known as attaplugite) clay. 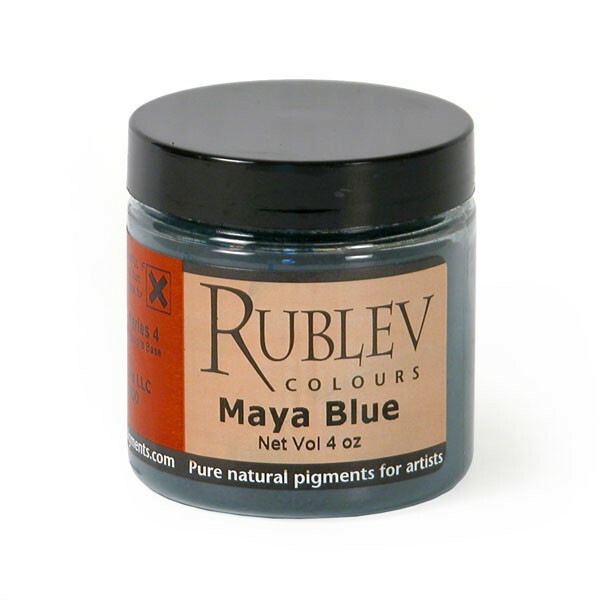 Maya Blue is stable in acids, alkalis, and solvents, so it is suitable for almost all artists' mediums, including fresco and casein. Maya Blue absorbs a moderately high amount of oil (65 grams of linseed oil per 100 grams of pigment) to make a paste. Maya Blue is not considered toxic, however, care should be used in handling the dry powder pigment to avoid inhaling the dust.